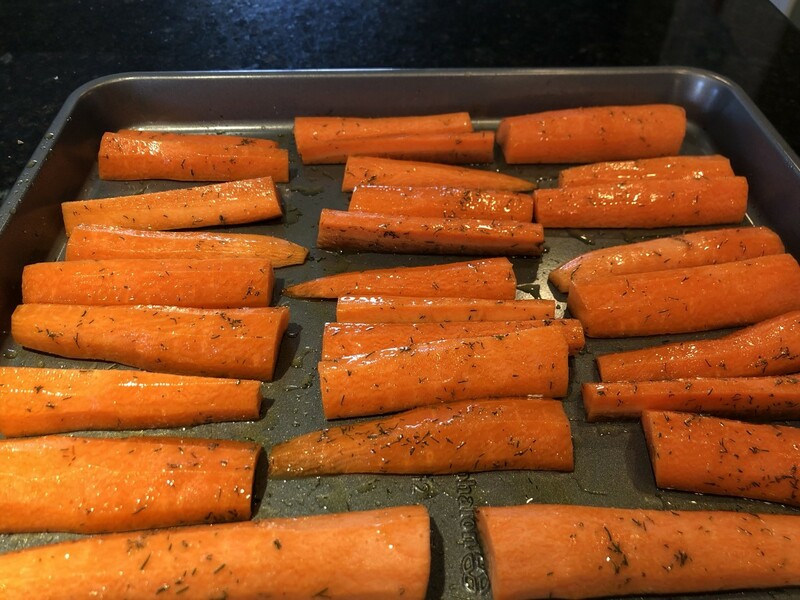 My son calls this recipe "honey carrots" because after they've been roasted the carrots taste as sweet as if you had drizzled them with honey! There's actually no honey in the recipe, though. 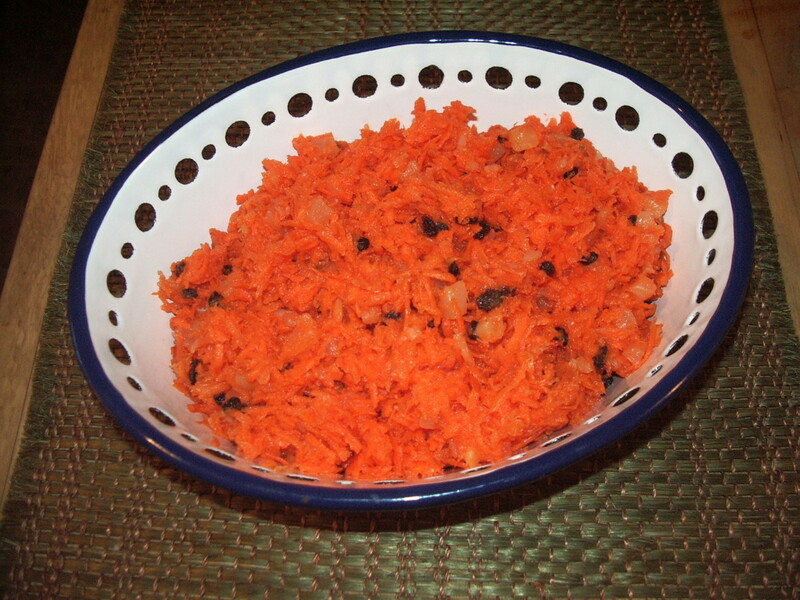 All you need in order to achieve this wonderfully sweet flavor is a couple of spices and some time in the oven to allow the carrots to caramelize. 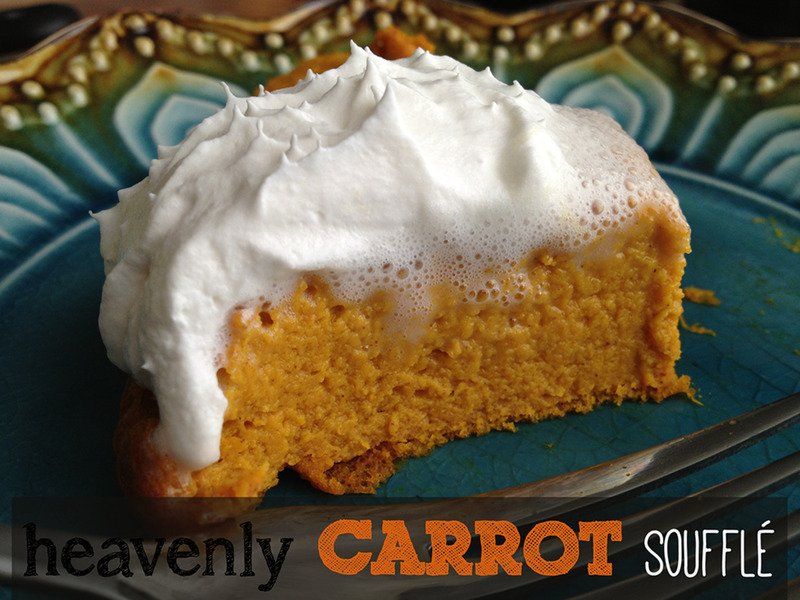 In the end, the carrots really do come out tasting like they are covered in honey. 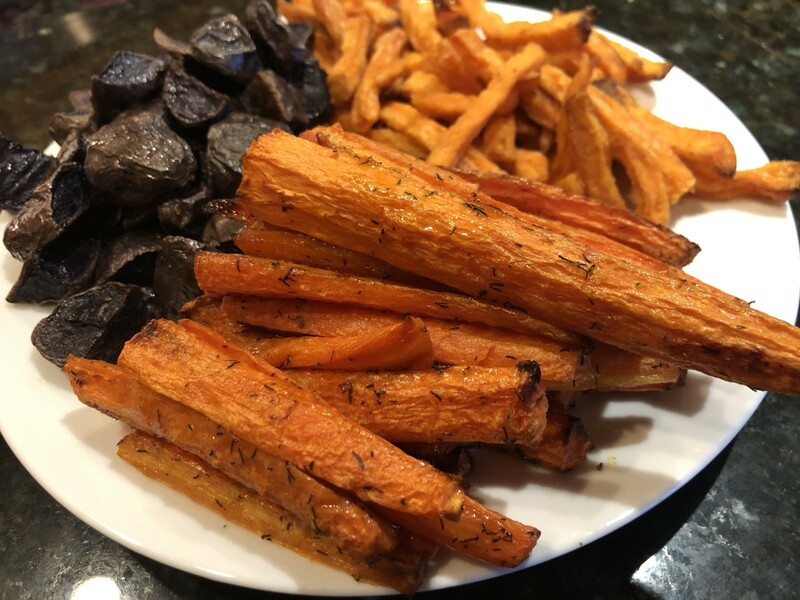 These carrots work really well as a side dish, but I've also served it as an appetizer with some fun dipping sauces. Side Dish or Snack Food, These Don't Disappoint! Preheat oven to 375 degrees. Peel and trim ends off of at least 8 carrots. You can use more if you'd like, but for our family of 4, I find that 8 carrots is a good amount for a side dish. 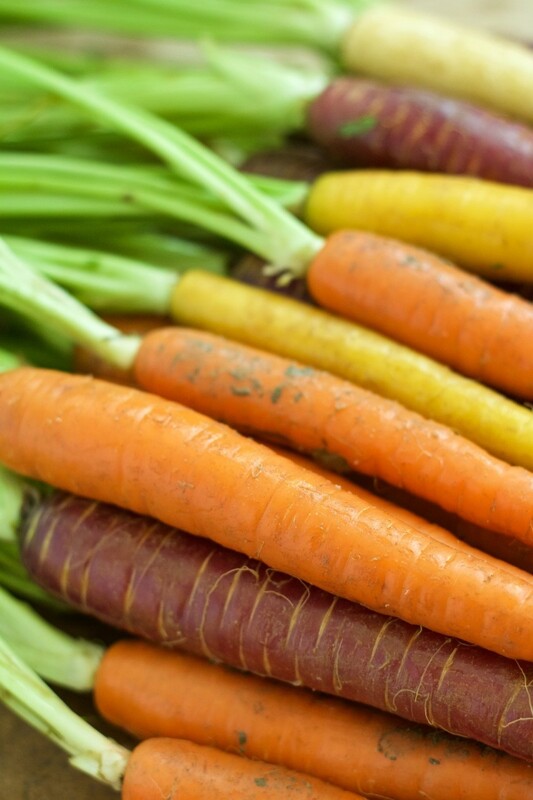 Cut carrots in half lengthwise and place them on a baking sheet. 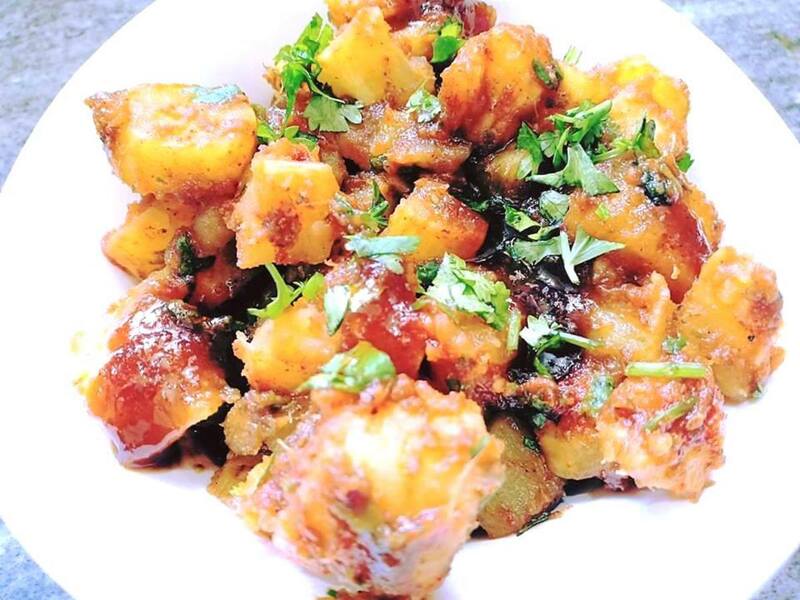 Drizzle with olive oil and spices. Stir to coat. Rearrange sliced carrots on the tray so that all the cut edges are facing down on the baking sheet. 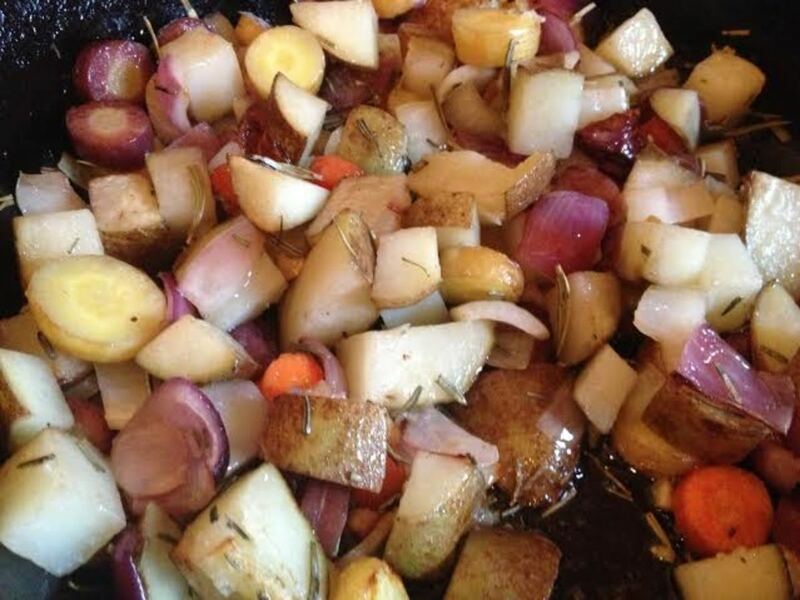 Once oven is at temperature, put the carrots in the oven and roast for 15 minutes. Take the carrots out and flip one of them over. If the bottom of the carrot hasn't browned yet, wait another 5-10 minutes before flipping all of them over. Once the carrots have been flipped, cook an additional 10 minutes until the carrots are fork tender and starting to brown on the edges. 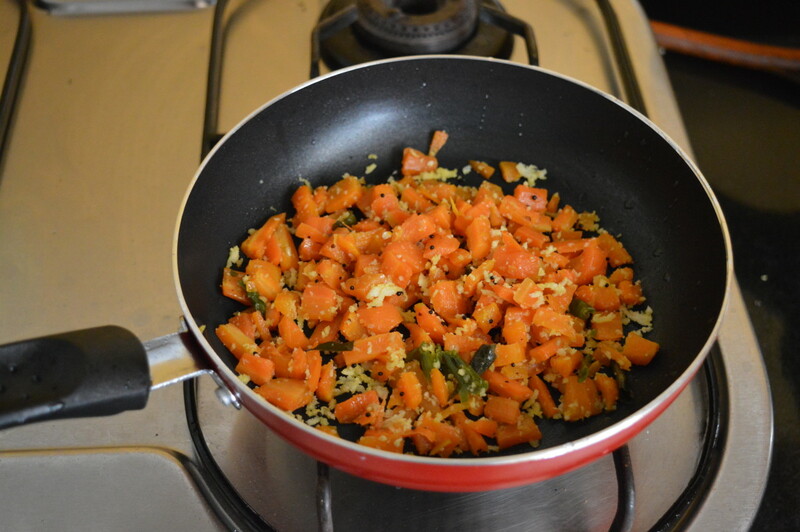 As the carrots brown, they will begin to caramelize and get their sweet flavor. If they haven't browned enough for your liking, add additional time and continue to flip them over periodically. Serve hot as a side dish, or allow them to cool and enjoy as a finger food with a dipping sauce. Enjoy! 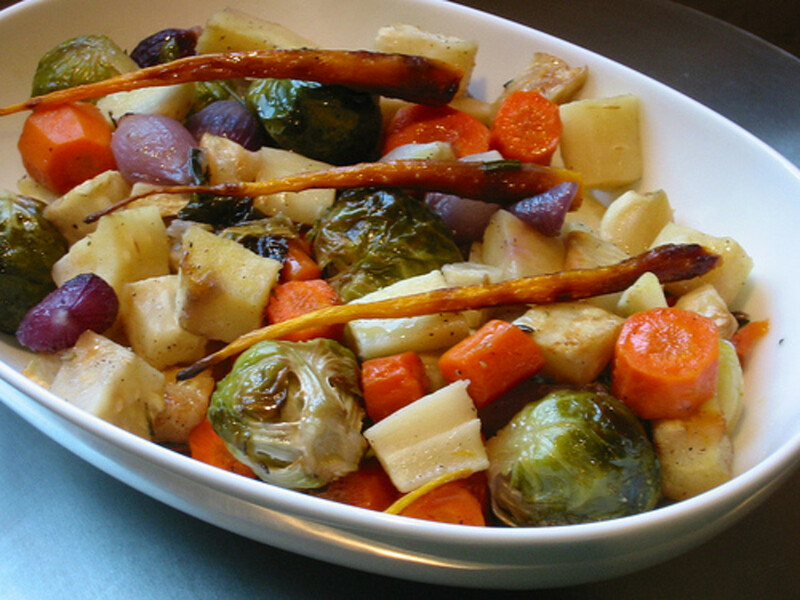 What is Your Favorite Veggie To Roast? What Do You Think of These Carrots? These veggies are ready for the oven! 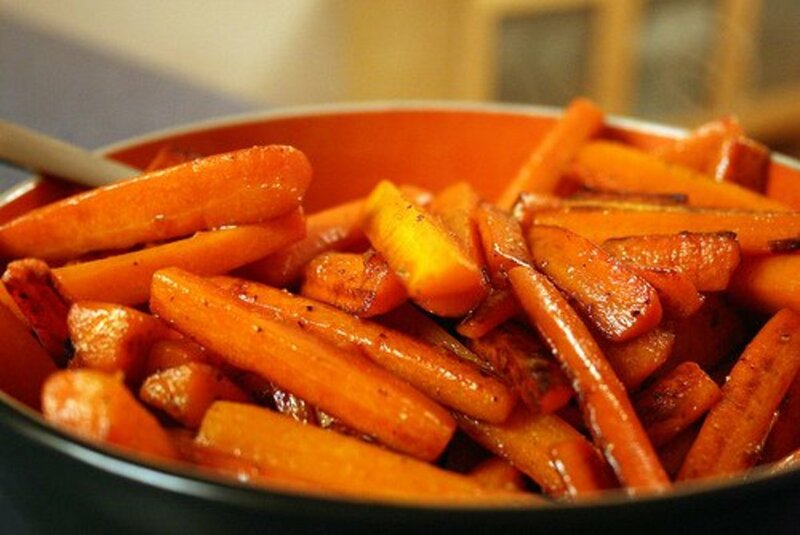 How to Glaze Carrots and Other Vegetables for Better-Tasting Side Dishes Every Time!